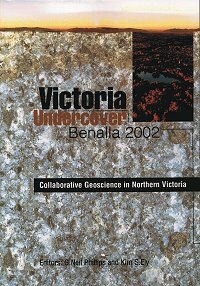 Victoria Undercover - Benalla 2002 brings together a series of geoscience studies relevant to northern Victoria. A wide range of topics are summarised, including aspects of geology, gold deposits, regolith and salinity, and the relevance of this knowledge to land use issues explored. Applications of the latest remote sensing technologies are demonstrated and landmark case studies presented in detail. Victoria Undercover encompasses the philosophy that understanding and managing the Earth's surface is a 4-dimensional problem that must include knowledge of surface, depth and the effects of geological time. The papers in this book were presented at the Victoria Undercover 2002 Conference held at Benalla, Victoria.